Danish design at its best: the Grönfeld aluminium planters have a handy click system and are multifunctional to use. Just like the planters, trays and wall shelves. 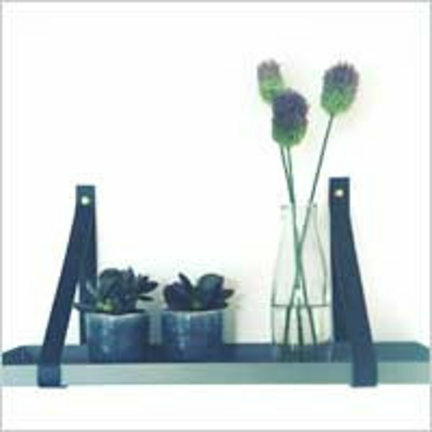 Grönfeld is a Danish design company that develops and produces aluminum planters, plant hangers and trays. With good Danish use, all products can be used in a multifunctional way and are suitable for both indoor and outdoor use. Because Grönfeld wanted to make plants and garden accessories that are beautiful, functional and weather-resistant, the choice was made on aluminum and galvanized iron. Combined with leather (such as in the logo and the leather bands of the wall shelves) this is a very strong eye catcher. Planters are of course ideal in your garden. The Grönfeld trays work with a handy click system, so that you have set up your planter in no time. And they are nice and light, because of aluminum, so also very easy to handle. Place the planter in color and size of your choice directly on the earth, or order a bottom plate with wheels if you prefer to move the container again (for example because you put a plant screen in place as a terrace partition).